My weigh-in came in at 153.6 lbs, which is a 3 lbs reduction from last month. Yay! Not over eating. I'm not portioning out my meals but I am being more conscious about not eating beyond feeling full. Limiting junk or fatty foods. I've cut back on cookies and pizza. Drinking more water. I actually am cheating on this a little because I'm actually drinking larger quantities of watered down coffee rather than straight up water. The 30-day abs and squat challenge is failing me. I'm not disciplined enough to actually do the workouts as planned every day. I skip doing them for a few days then catch up on all the missed workouts at once. This is defeating the purpose of a 30-Day challenge. 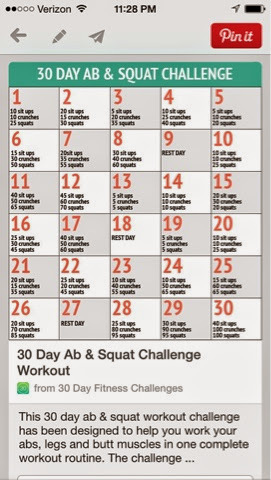 Finish up the 30-Day Challenge but have it be complimentary to my regular Jung Dayeon and Pilates workouts. Don't let cookie eating get out of control. Do good quality workouts every day. Quality over quantity!